Apple has finally revealed the next iPhone, dubbed iPhone 4, at today’s WWDC keynote. 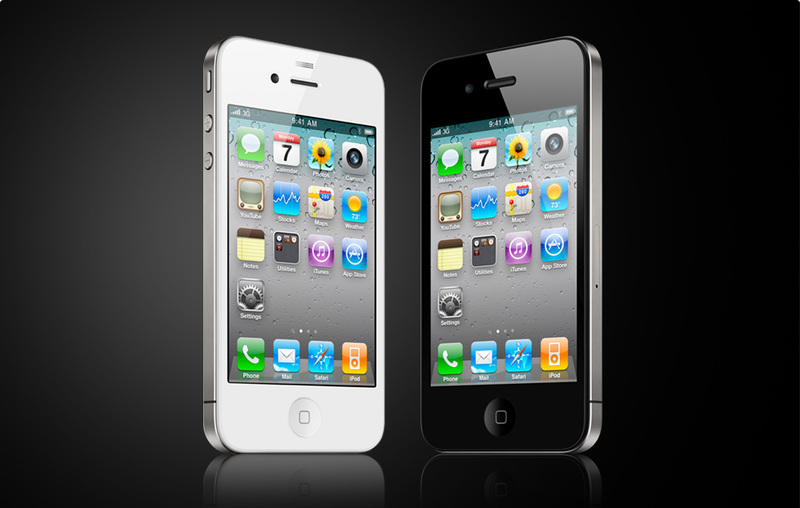 iPhone 4 features an all new design, it’s 9.3mm thick which is 24% thinner than the iPhone 3GS. The device has a glass front and back — the same glass used in helicopter windshields and high-speed trains. The glass is chemically strengthened to be 20 times stiffer and 30 times harder than plastic, this should cut down on the number of shattered screens I see on iPhones all the time. They’ve also introduced what they call the “Retina display” which has a 960×640 resolution which features an impressive 326 pixels per inch and uses IPS and LED backlighting. Text and controls in current applications will be rendered at the higher resolution, so apps will look better at no extra work to developers. The metal band around the sides of the device are made of stainless steel and are not only the mounting point for all the components of the iPhone 4 but is also part of the antenna system in the phone. Because of the use of this metal band there was room in the iPhone to increase the size of the battery. You’ll now get 7 hours of 3G talk time, 6 hours of 3G browsing, 10 hours of Wi-Fi browsing, and 300 hours of standby. iPhone 4 has a microphone at the top for noise cancellation, a front-facing camera, a gyroscope, and A4 processor. The back camera is 5 megapixels and sits next to an LED flash for low-light photographs. And, it is capable of recording 720p video at 30fps. Apple has also introduced FaceTime video calling. It will be iPhone 4 to iPhone 4 at launch, but is being released as an open standard so that (hopefully) soon you’ll be able to call non-iPhone users and video chat with them. You’ll be able to switch between cameras and view it in portrait or landscape. Zero setup is required and it will work only over Wi-Fi at launch. Apple is currently working with the cell carriers to get it running on their network as well. 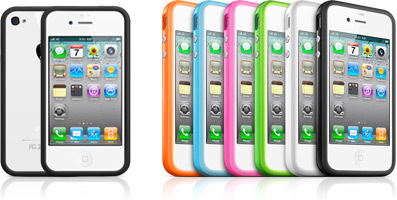 Just like the iPad, Apple has announces cases for the iPhone 4 at launch. They call them bumpers are are essentially rubber and molded plastic that goes around the outer edge of the device. They come in six colors and will be available soon. iPhone 4 comes in white and black, 16GB for $199 and 32GB for $299. The iPhone 3GS now comes with 8GB of storage for $99. It will be in stores on June 24 with pre-orders starting June 15.